14K Yellow Gold White and Champagne Diamond Wedding Ring Anniversary Band. 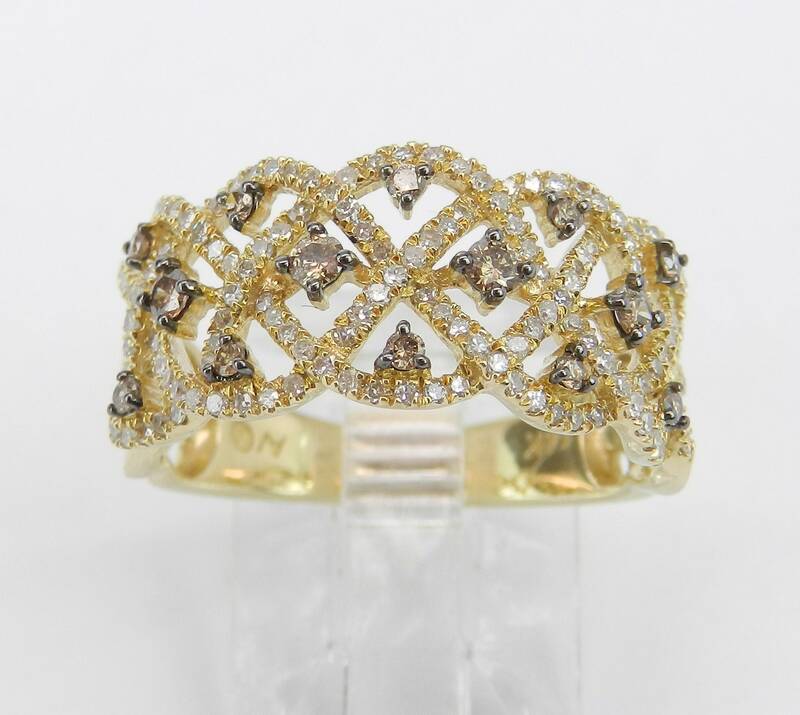 This ring is set with fourteen natural Round Brilliant Champagne colored Diamonds and one hundred and fifty two (152) genuine Round Brilliant White Diamonds. These diamonds are H color (white diamonds), SI/I1 clarity and weigh a total of .75 carat. 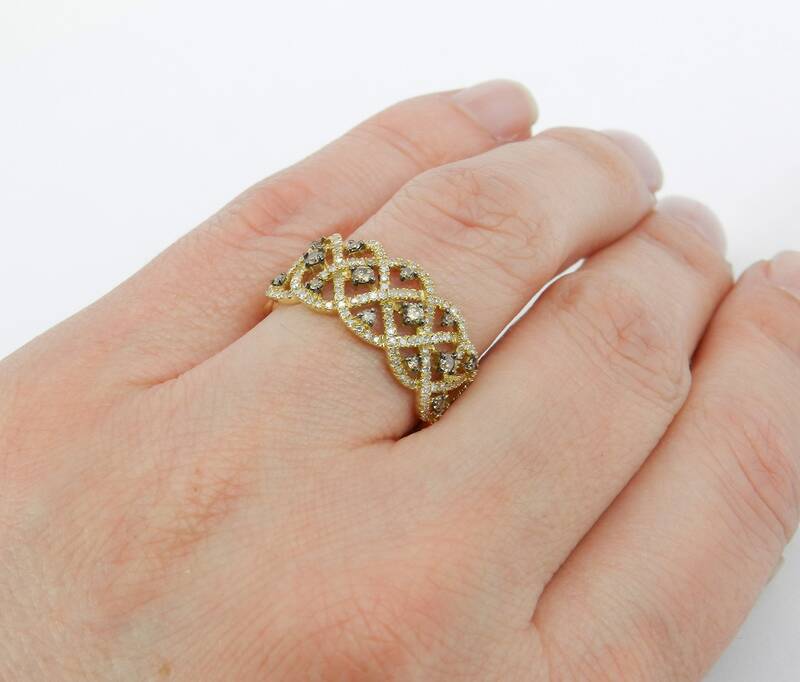 This ring is 14KT Yellow Gold, weighs 4.2 grams, measures 10 mm in width at its widest point and is a finger size 7, which can be resized (please inquire about sizing with the finger size you need). The ring will be accompanied by an appraisal by a GIA Certified Diamond Grader with the retail replacement value of $1,689.00. I will ship this ring promptly in a gift box.